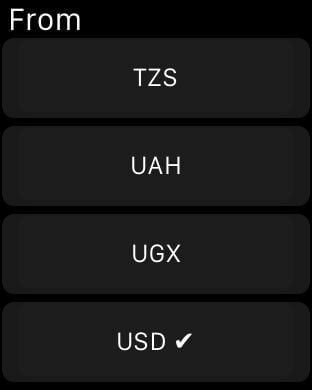 WatchExchange provides up-to-date exchange rates on your wrist. Fully featured, yet simple. 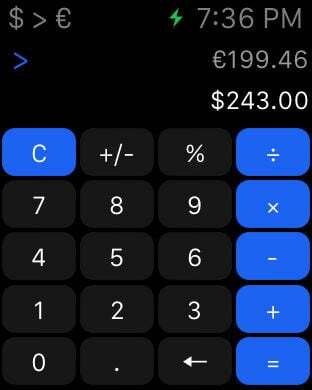 Use your AppleWatch to convert amounts in seconds! 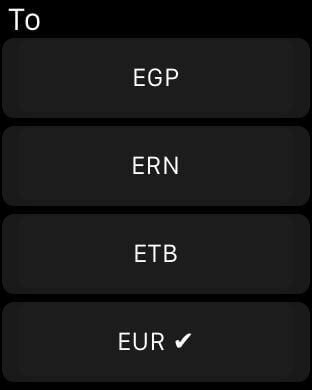 - Select from over 170 currencies. - Make it your converter: Select from a variety of color options! Don’t get stuck on a business trip, vacation, or holiday without this great currency converter. 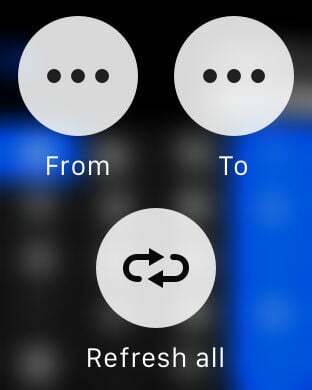 Force Touch on the converter to change the currencies. Refresh conversion rates from your watch or iOS device. Change the calculator’s colors by picking your favorite theme!